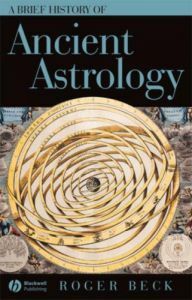 It is not the purpose of this article to give a full review of Roger Beck’s new book on Hellenistic astrology titled A Brief History of Ancient Astrology. The major shortcomings of the book, as well as most of the issues that I have with it, have already been addressed in detail by Deborah Houlding in her review. Other reviews besides Houlding’s from Beck’s colleagues give him a bit more credit than he deserves. The purpose of this article is to point out one of the major flaws in the book that is due to a mixture of lack of knowledge of other scholarship or developments in the field, and lack of real familiarity or depth of understanding with the technical side of the subject matter, which probably stems from the sense of distaste that Beck exhibits for astrology in general throughout the course of his book. While we might excuse Beck’s historical mistakes due to the fact that some of the recent work in the field that would have helped Beck to avert his errors were made by astrologers – and perhaps there is some justification in this excuse – I think that there is a deeper issue in the approach to scholarship that academics like Beck take that I want to address. First, we have to take a little detour. With these developments in mind as a backdrop, we turn to Roger Beck’s treatment of the houses or ‘places’ in the Hellenistic astrological tradition that was published just this year, in 2007. Strictly speaking, the lengths of the places vary over the course of the day, expanding and contracting as the midheaven and lower midheaven oscillate to and fro. In fact, it is Beck’s own false assumptions and failure to comprehend even the most basic of astrological principles which is at fault here. Had he read any of the authors who he cites in his book a bit more closely, and perhaps with a bit less loathing, then he would have realized that they were primarily using the signs as houses, and that the midheaven issue and the question of the relation between the quadrant house divisions and the topical significations of the ‘places’ did not become an issue until much later. Such details escape Beck in his ‘brief’ treatment of ancient astrology though. So, you may be asking yourself, as I often do in these instances, how could such an accomplished scholar, whose previous work I actually really respect, who has enough knowledge of Greek and Latin to read the texts in their original languages overlook the fact that the Hellenistic authors regularly refer to the houses within the context of the signs? Perhaps to a certain extent we can’t really fault Beck because this specific issue with house division and the existence of whole sign houses doesn’t appear to be widely acknowledged in the academic community at this point, and the mistaken assumptions about Hellenistic house division probably go much further back than Beck’s book. …the accurate determination of the culminating point (M) is not yet of any importance in the Anthology. Though “Midheaven” is often mentioned, it is generally simply the third sign from the Horoscopos [i.e the 10th whole sign house]. This is a far more concise, elegant and accurate account of house division in ancient astrology than Beck was able to manage in his several tortured pages on the subject. So what gives? It seems to me that the deeper issue here is the question of whether or not a person can set aside their own personal beliefs and prejudices in order to conduct a thorough, perceptive and accurate account of something that they intend to study. Or perhaps it is not an issue of if a person can remain objective when dealing with a subject that they have a certain degree of contempt for, but rather it is an issue of what sort of impact their contempt for the subject actually has on their research and their ability to accurately assess the discipline under question. Perhaps I’m blowing this little major technical oversight of Beck’s out of proportion, or drawing an unwarranted conclusion about his personal beliefs adversely effecting his research, but it is still an interesting question to think about. If Beck had spent less time in his book berating astrology, would he have been forced to pay closer attention to the technical details of the system under question? For the most part I actually really admire and commend the work that all the scholars in this field have done. The research that scholars such as Pingree, Neugebauer, and even Beck have done on the history of astrology and astronomy should be commended- especially by astrologers. To a certain extent I think that their skepticism or disbelief in astrology has actually strengthened much of their work and many of the conclusions that they have come to in many instances. However, every once in a while when I see a major mistake like this that is passed off along with copious amounts comments about the failings of astrologers and the flaws of astrology, I can’t help but want to return the favor by pointing out some flaws as well. Roger Beck, A Brief History of Ancient Astrology, Blackwell Publishing, Malden, MA, 2007. James Holden, Ancient House Division, The American Federation of Astrologers Journal of Research, Vol. 1, No. 1, Tempe, AZ, August 1982, pp. 19-29. James Holden, A History of Horoscopic Astrology, The American Federation of Astrologers, Tempe, AZ, 1996. Robert Hand, Whole Sign Houses: The Oldest House System, ARHAT Publications, Reston, VA, 2000. Claudius Ptolemy, Tetrabiblos, Book 3, trans. Robert Schmidt, Project Hindsight, 1996. O. Neugebaur & H. B. van Hoesen, Greek Horoscopes, The American Philosophical Society, Philadelphia, PA, 1956. David Pingree, Astrology, in the Dictionary of the History of Ideas, 1969 ed.